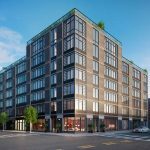 The Adeline is a stunning new condominium development located in the burgeoning heart of Central Harlem at 23 West 116 Street. 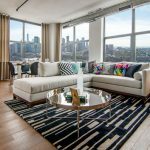 The 12-story, 83-unit condominium generously pairs one- to four-bedroom luxurious residences with traditional touches, high-end finishes and a full-service amenity package. 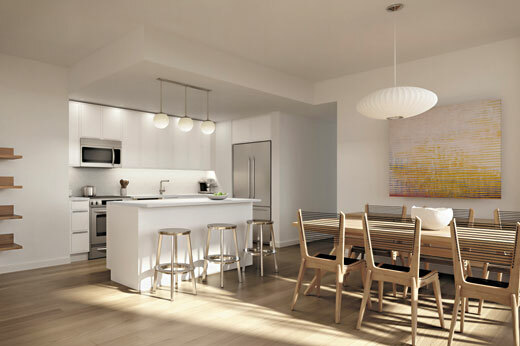 Each apartment at The Adeline pairs crisp, modern elements with traditional touches while beautifully oversized windows allow for sun-drenched interiors. Three expansive penthouse homes feature open staircases detailed in metal and wood that lead up to their own private rooftop terraces. Developer by prominent L+M Development Partners and designed by the famed Perkins Eastman, The Adeline is graciously designed to include customized accents including marbled surfaces, Herringbone tile, wide-plank oak floors courtesy of DuChateau, Ceasarstone countertops and backsplashes and top-of-the-line appliances. Impressive master bathrooms are filled with Grohe rain showerheads and faucets in addition to Restoration Hardware lighting and all living spaces include floor-to-ceiling windows. Stunning master bedrooms have glass enclosed walk-in showers with Grohe rain showerheads, oversized mirrors and custom vanities with ample storage. Porcelain floors are tiled in a contemporary herringbone pattern, complimented by Carrara porcelain wall tiles and polished chrome Grohe bath accessories. 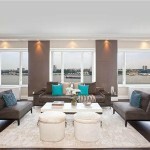 The Adeline’s impressive amenities make it the ultimate new development in the New York market. The building is surrounded by lush green, open spaces, including three levels of outdoor areas encompassed by a 5,800-square-foot central courtyard and a 2,300-square-foot landscaped roof deck. 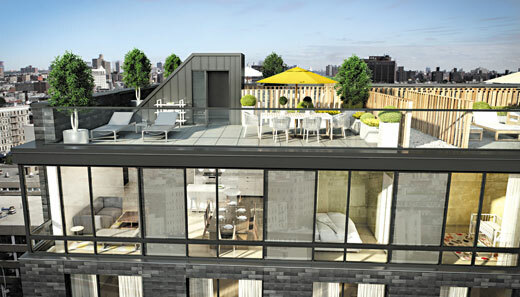 The Adeline also offers a 24-hour doorman, fitness center, residents lounge, screening area, playroom and more. Generous storage opportunities including bike storage, refrigerated package delivery, private storage and on-site parking for purchase, are also available. The Adeline is on the same block as the 2 and 3 subway stations with easy access to the B, C and 6 trains. 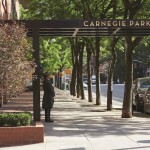 It is mere blocks from Central Park, Marcus Garvey Park and Morningside Park, along with world-class museums, cultural institutions, galleries, shops, children’s playgrounds and culinary destination that populate the neighborhood. Occupancy is expected in Fall 2014 with an anticipated 421-a tax abatement. 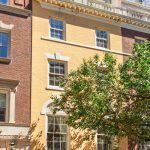 One-to four-bedroom homes are available from $830,000 to $2.75 million.